There are literally more than 100 million listings on Ebay at any one time and as many active Ebay users. Burried among these listings are Porsche related items like cars, accessories, parts, books, DVD's, clothing and much, much more. The 'Porsche Ebay Discoveries' feature on Channel P101tv is designed to help you find that special Porsche something hidden in the Ebay jungle. 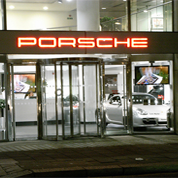 We'll seek out some of the best places to look for Porsche items and list them here. 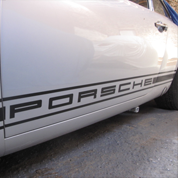 This inludes links to dedicated Porsche Ebay shops, books suppliers, wheels and parts. We'll also list random bargains that we uncover. Using the Porsche Ebay Discoveries section, like the rest of Channel P101tv, is completely free. Just click on an Ebay category from the picture menu above or the category listings menu to left. Once you choose a category all the associated Porsche Ebay Discoveries will be listed for you to explore. We will update the Porsche Ebay Discoveries feature of the Folio as more Porsche discoveries are made, so be sure to check back often. If you have an Ebay store yourself that sells Porsche items, or you'd like to recommend one that you've used before, then let us know and we'll happily include it in the listings. Just click on "Contact us" at the bottom of the page. Or use the Channel P101tv suggestion form. We hope you enjoy the Porsche Ebay Discoveries area of the Porsche Folio!